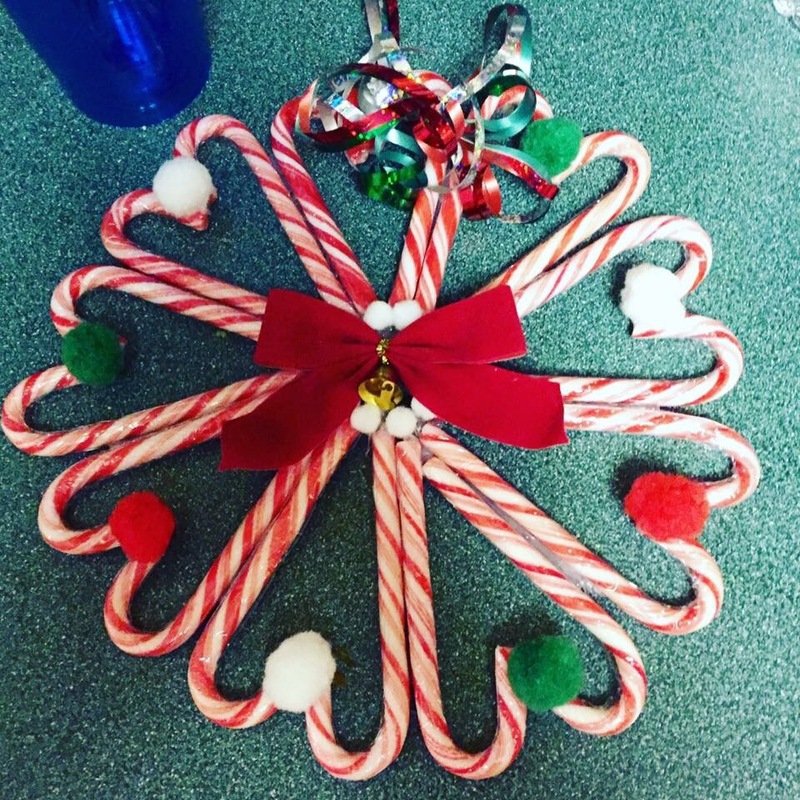 Candy Cane Wreath – Midnight Munchies & More! This is great Christmas craft for kiddos! I nanny for a 9 year old girl. We decided to do a Christmas craft for her house. I started by buying some candy canes at the dollar store. Then, I just pulled out some random Christmas themed decorations I had laying around. 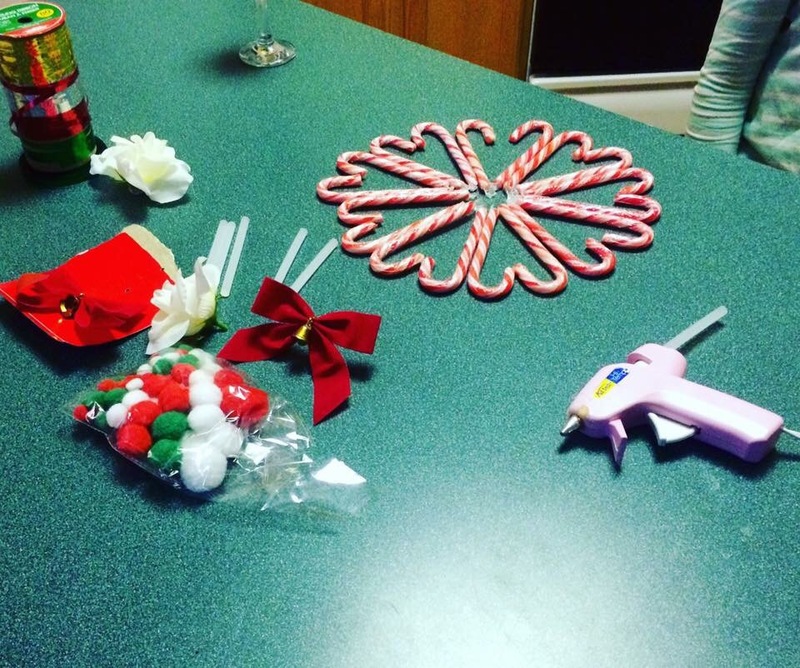 I showed her how to hot glue the candy canes together into a wreath shape and she did almost the whole thing. It was her first time using a hot glue gun, so I made sure to teach safety first. I would though, keep an eye on the child the whole time because sometimes they forget where the hot glue gun is even laying and accidentally touch the metal tip even though they know not to, ya know? Then I just had her hot glue the decorations on in any way she wanted. We tied a ribbon to hang it like a wreath and voila! Simple, quick, fun and cheap!